Easter in Italy is such a special time of year. The weather is getting warmer, cafés are stocking up on large chocolate eggs (with prizes inside! ), the streets are buzzing with well-dressed families headed to the market to buy lamb, goat, artichokes, fava beans, spinach, asparagus and baking essentials and special Easter breads are being prepared (such as pane di Pasqua all’uovo, a traditional southern Italian bread with dyed eggs baked in the middle). Join us for our own Pasquetta, little Easter, at the shop this Saturday, alongside the tutto italiano wine importer, Matchvino, led by the one and only Stacey! 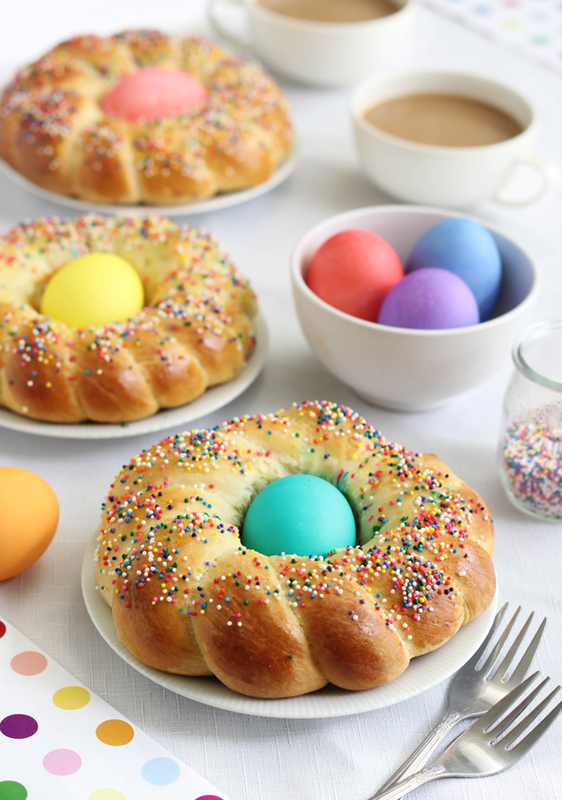 We’ll have some homemade Easter breads for you to try, as well as organic and delicious wines from northern Italy. Happy Easter and Passover everyone! Read more about the wine line-up and producers here!